State voters should vote YES on Proposition C on Nov. 4. 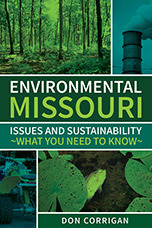 Known as the Missouri Clean Energy Initiative, the measure would require electricity providers in the state to move away from fossil fuels to renewable resources for power generation. Proposition C would require at least 2 percent of electricity to be generated by investor-owned utilities from sources such as wind, solar, biomass and hydro-power by 2011. That mandate would increase to at least 15 percent by 2021. Energy initiative supporters contend the Nov. 4 ballot measure will help break foreign oil dependency by the United States and slow the current economic crisis. There are virtually no opponents – no organized opposition – to this proposal. Ten years ago, that would have been unthinkable. The Rush Limbaugh crowd would have been crying out about unrealistic mandates by government. They would have denounced advocates as tree- huggers and environmental whackos. Pity the fact that this Initiative should have been taken up 30 years ago nationwide. That was at the time of the first energy crisis and the first oil squeeze by the Middle East oil cartel. Imagine where we would be with no fossil fuel dependency now. No war. No economic crisis. Far less air pollution. 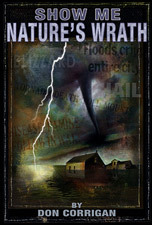 Far less climate change and erratic, destructive weather. And the polar bears might not be struggling for a piece of ice to stand upon!